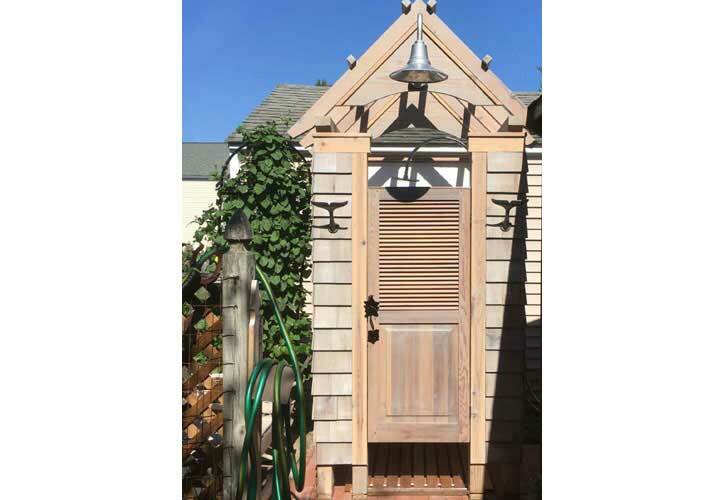 Exterior shutters from Vixen Hill are handmade from clear, select #1 or better air-dried western red cedar. 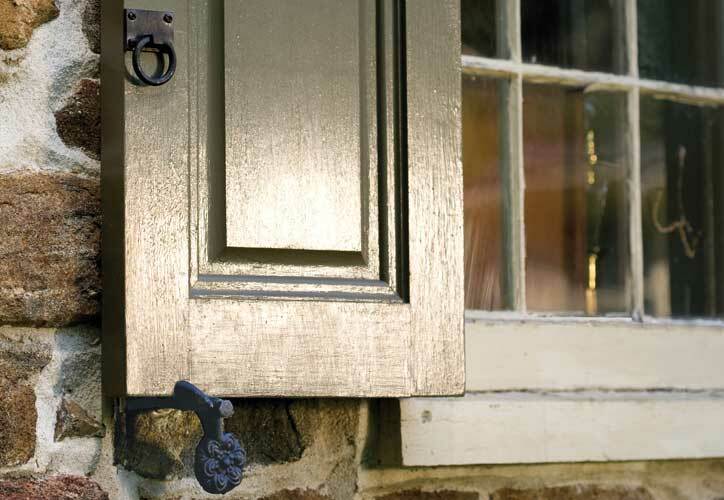 The shutters are assembled with old world craftsmanship using authentic mortise and tenon construction. The tenons are secured in the mortises with solid teak through pegs. 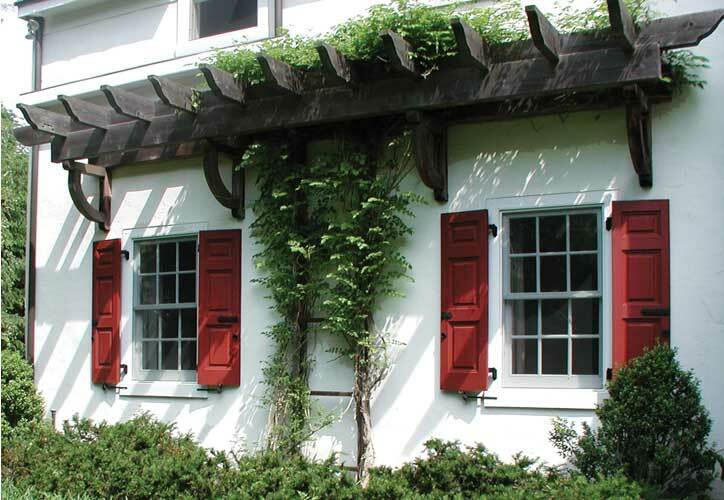 Our exterior wooden shutters are available in all the traditional styles you would expect. 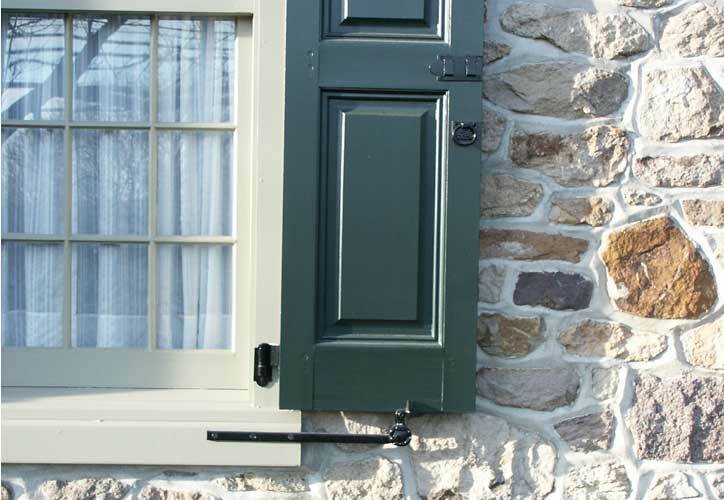 We also offer a full line of traditional shutter hardware. 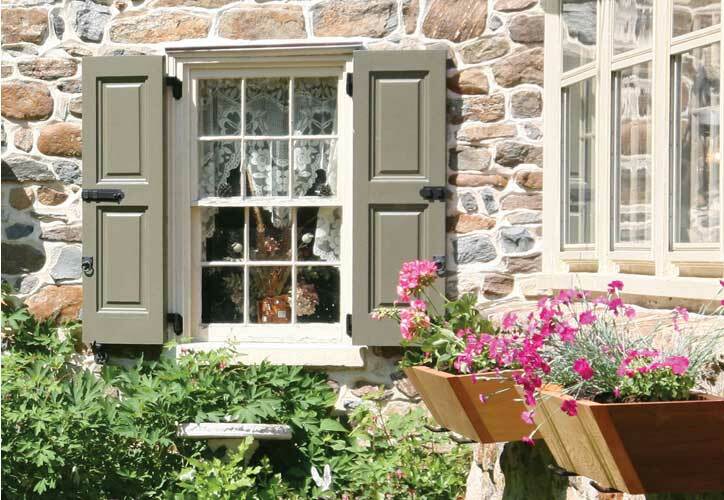 The Rebirth of Real Wooden Shutters. 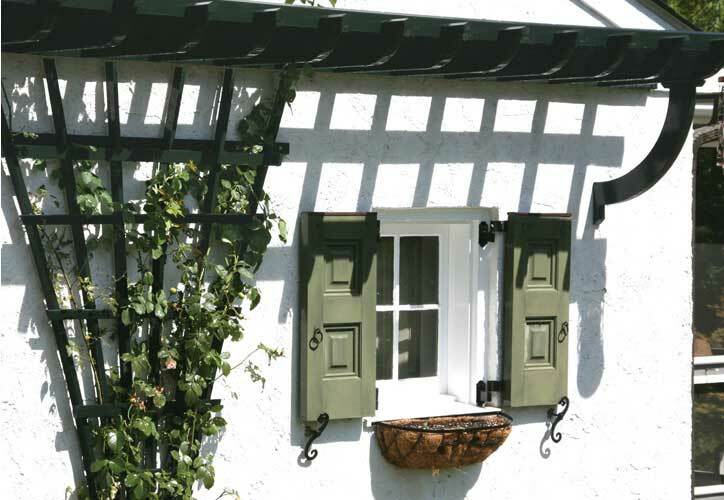 In 1980 Vixen Hill began crafting real wooden shutters because they were nearly impossible to find. 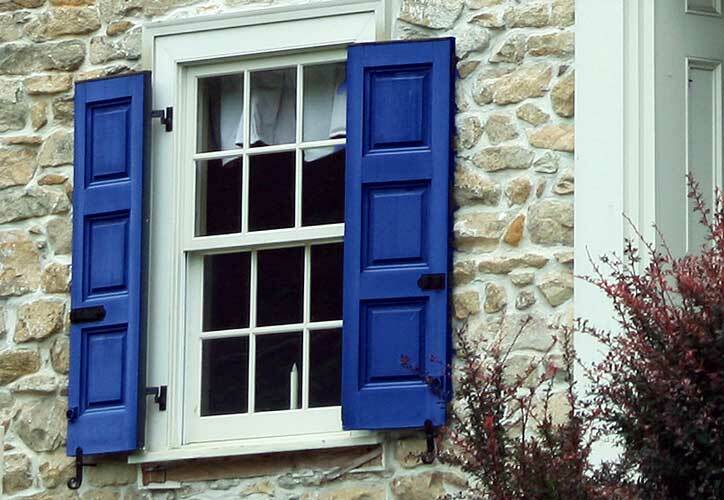 Fiberglass and colored plastic shutters had virtually monopolized the shutter industry during the building booms of the 60’s and 70’s. 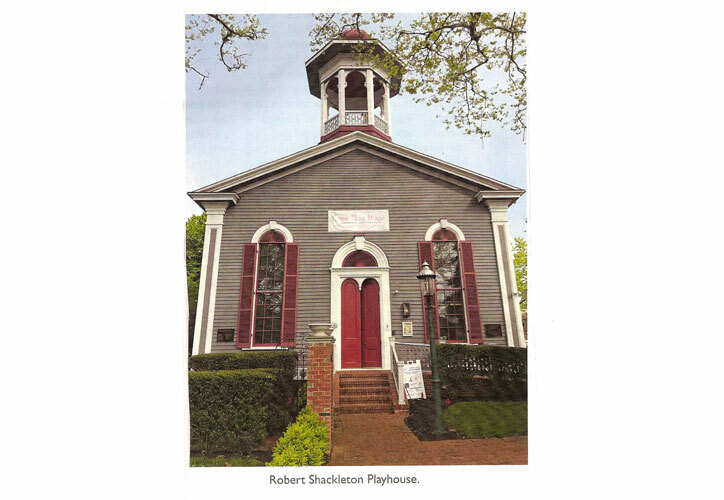 Unfortunately, the attempt to replace traditional wood shutters with synthetic materials had inherent problems. 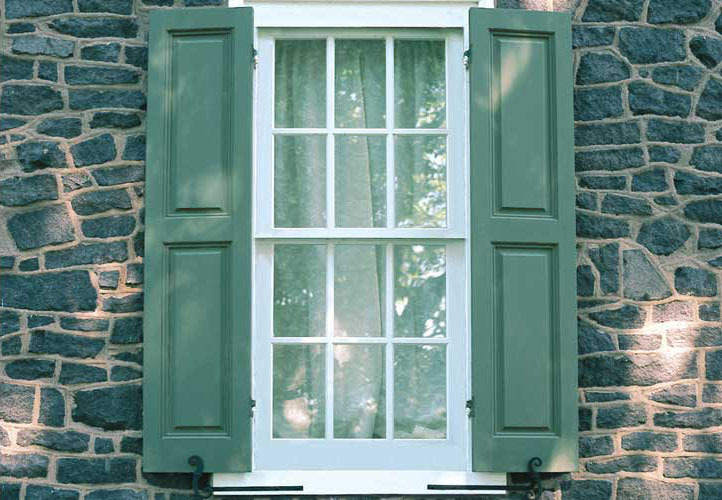 Difficulties included window size mismatch, harmful and inaccurate mounting practices, fading and repainting issues. Vixen Hill’s solution was to go back to traditional pegged mortise/tenon joinery with improvements unavailable in earlier shutter designs. First, Vixen Hill built a wood mill to process the world’s finest cedar from British Columbia. Next it offered shutters to match window sizes using strong hidden joists. 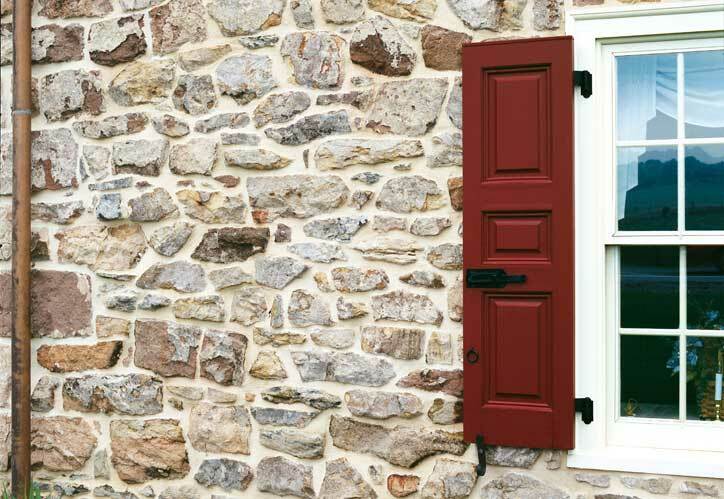 The result was a historically accurate shutter made of rot and insect resistant wood, designed to discourage water and insect penetration. 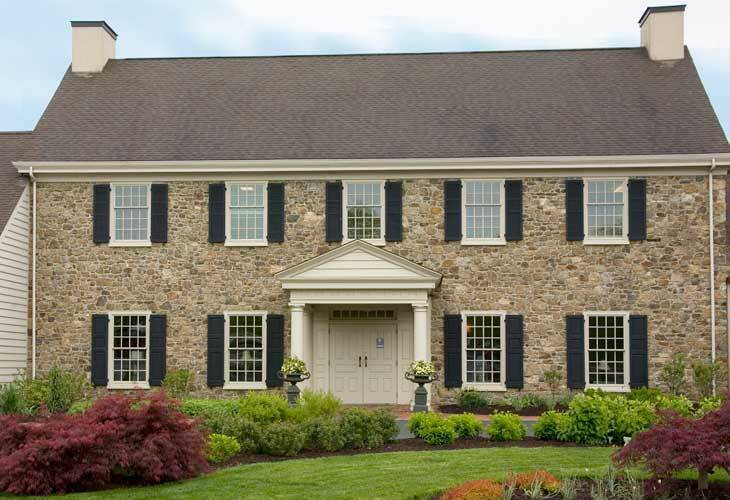 Virtually all shutter companies emulate Vixen Hill’s designs and superior craftsmanship. 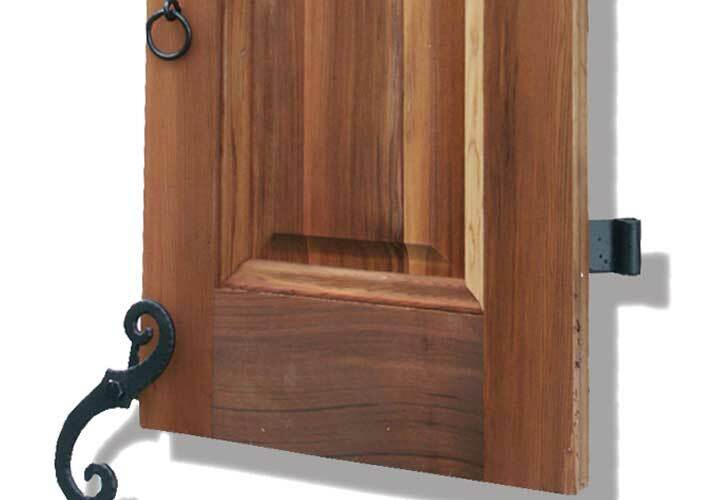 And, buying clout and milling expertise allow Vixen Hill to offer the best quality at the best price. Before you commit to other shutter companies, take the time to explore the world of Vixen Hill. 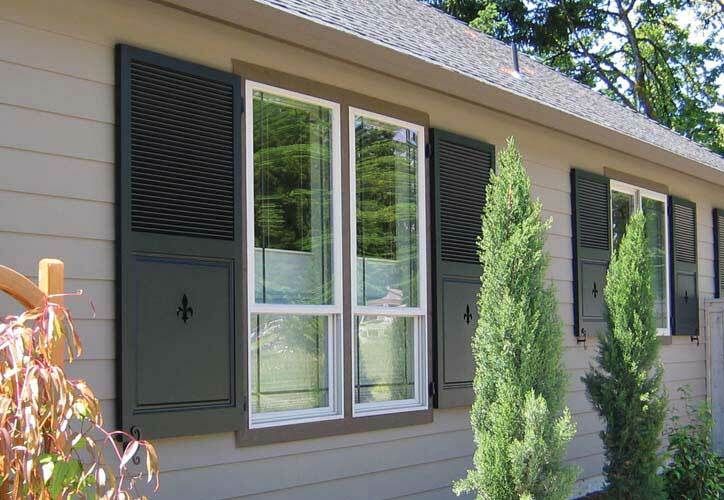 Don’t believe that plastic, metal and high density foam shutters outlast wood. Plastics and foam are not enduring because of differential surface temperatures and ultraviolet attack. 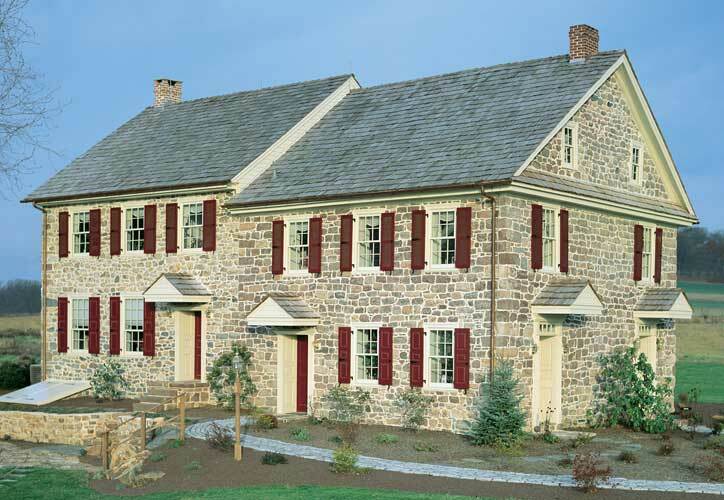 The front and back of darkly painted shutters can have temperature differences of 100 degrees on southern exposures. This causes warping and failure in surface finishes. And when it comes time to refinish, try repainting plastic! 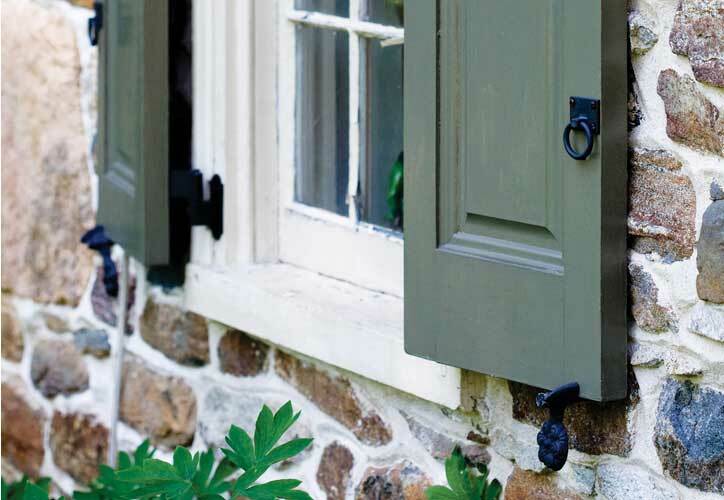 Metal shutters eventually oxidize beneath the paint and must be wire brushed and primed before repainting. 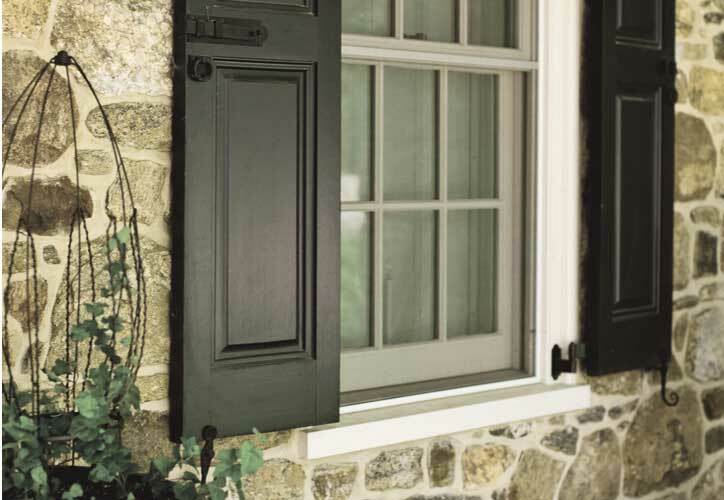 Salt air can be especially fatal to metal-clad shutters. Don’t hang shutters flat against the wall. 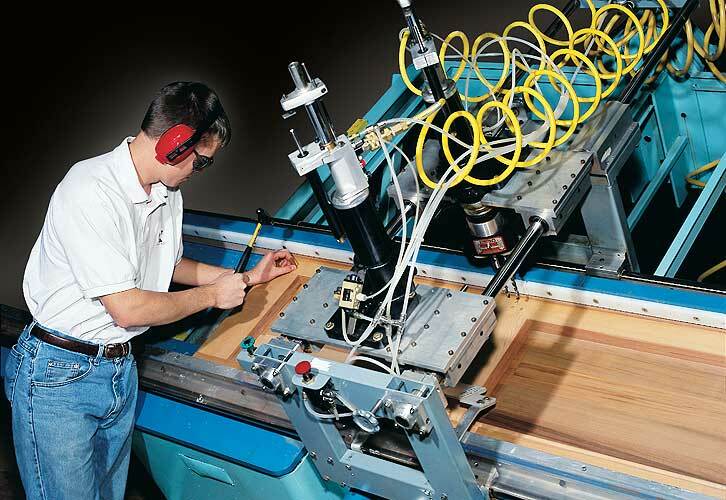 Whether wood or synthetic, there needs to be air circulation! Allow an inch or more between the back edge of the shutter and the window frame. Additional benefits include interesting shadow lines and a three dimensional aspect that tells observers that the shutters are real. 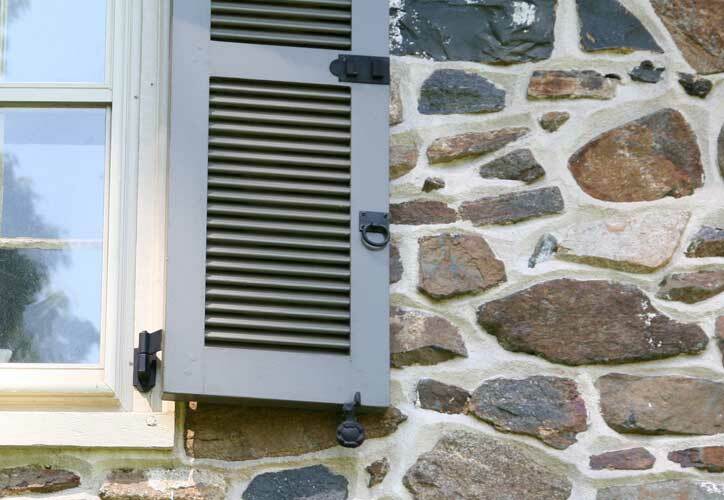 Don’t hang shutters with louvers angled down when they are open. 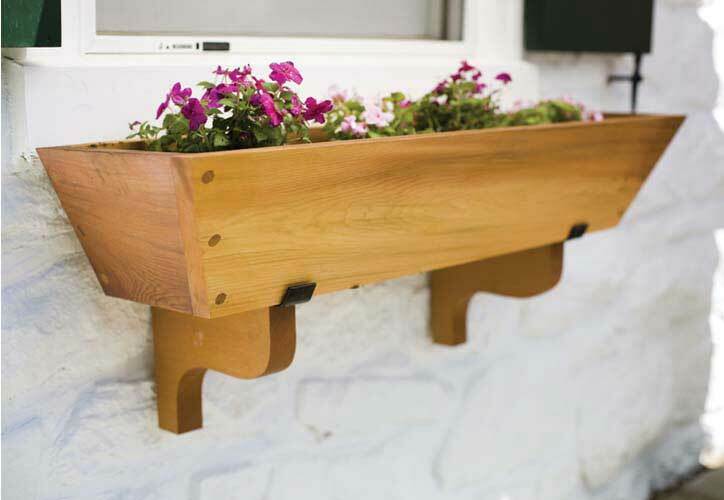 Do hang them with louvers angled “up” to discourage bat & insect nest-building. This will also allow them to shed water when they are closed. 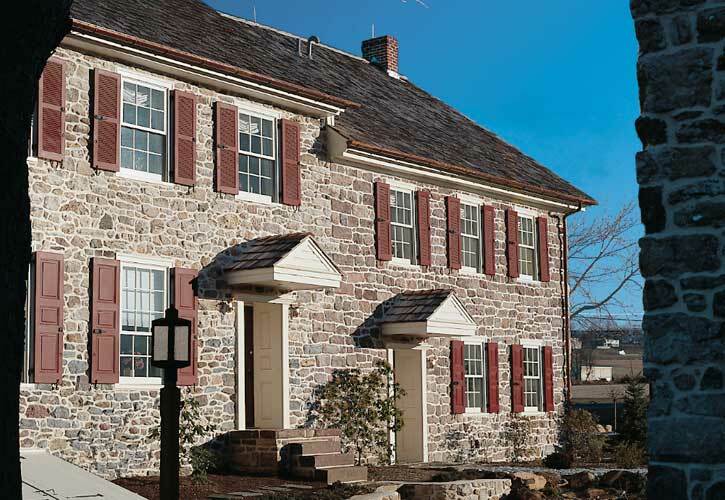 Don’t try to be too “original” in selecting shutter styles. 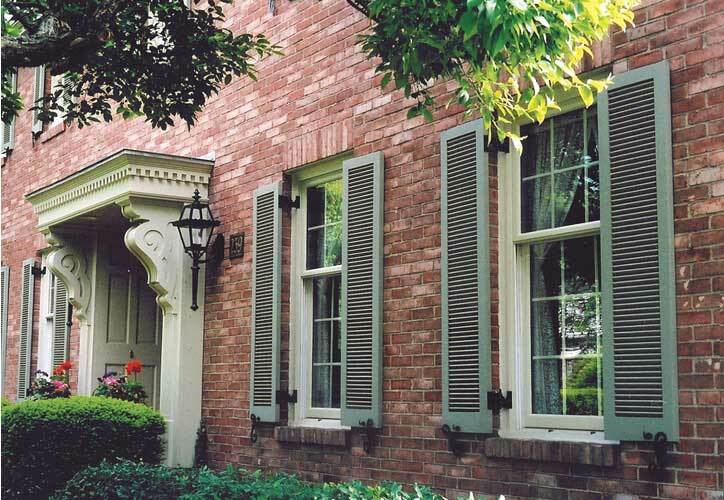 Traditional exterior shutters were installed with paneled shutters on the bottom to keep out the prying eyes of thieves while the second story windows were louvered to allow hot air to escape. And when you see “horns” on paneled shutters, that was allow some air to enter the bottom floor for fresh air circulation. 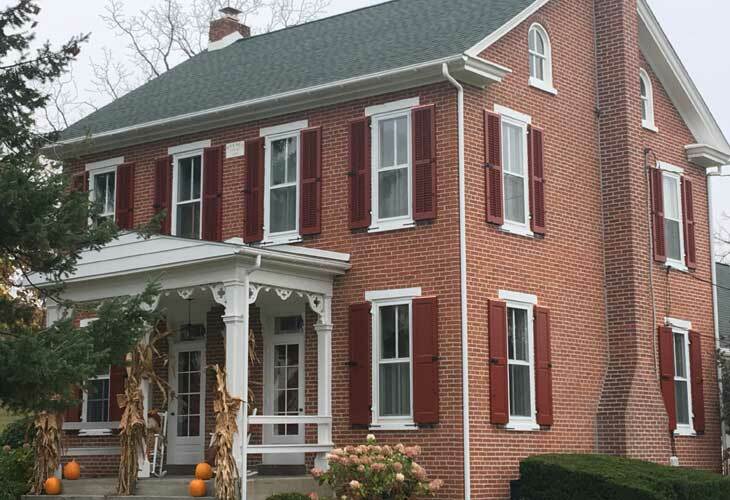 Also, mid-shutter cross rails were typically located to reflect the dividing line between window sashes. 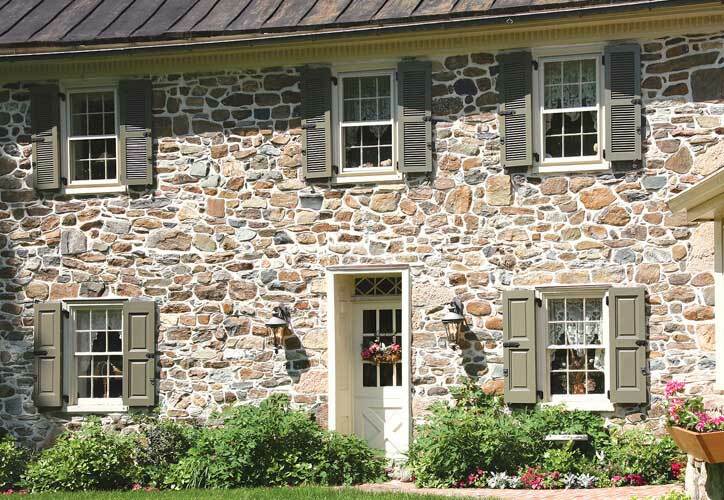 Nailing shutters to the sides of your windows often makes a negative statement about your home. 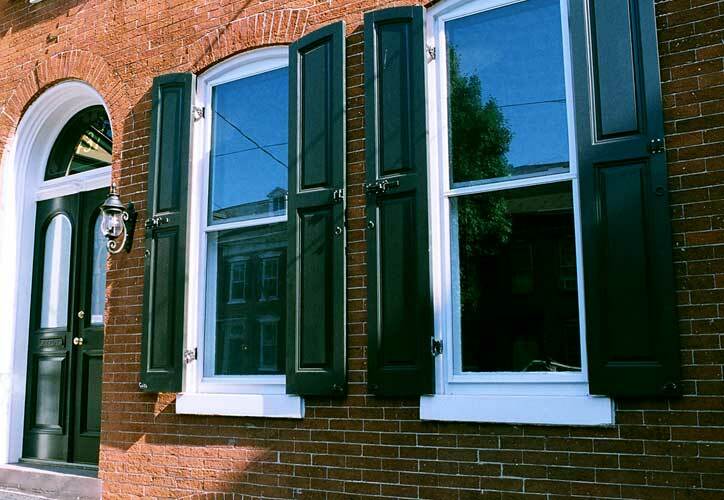 Though shutter hardware adds to overall shutter costs, there are inexpensive alternatives to “high end” shutter hardware. 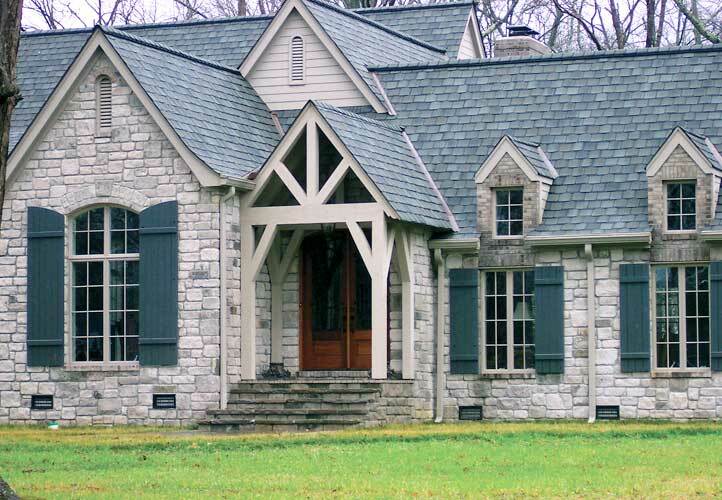 Vixen Hill offers several different grades that can give the right look without the costs. Stamped is least expensive followed by Forged/Cast then Hand-Forged. 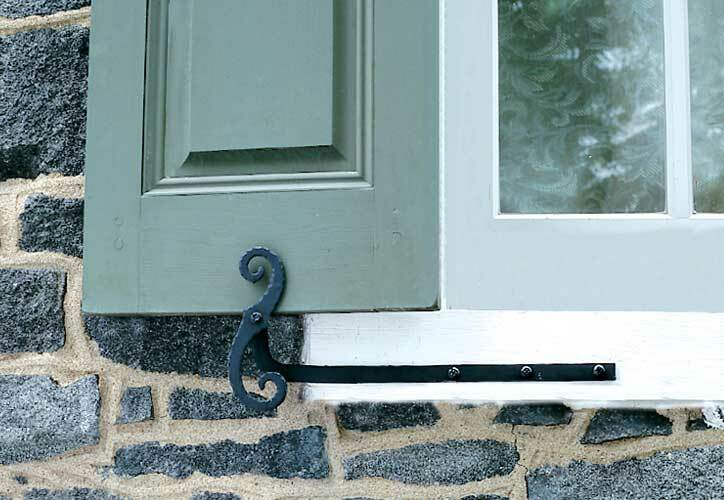 Hand-Forged shutter hardware is mostly used in historically accurate restorations. 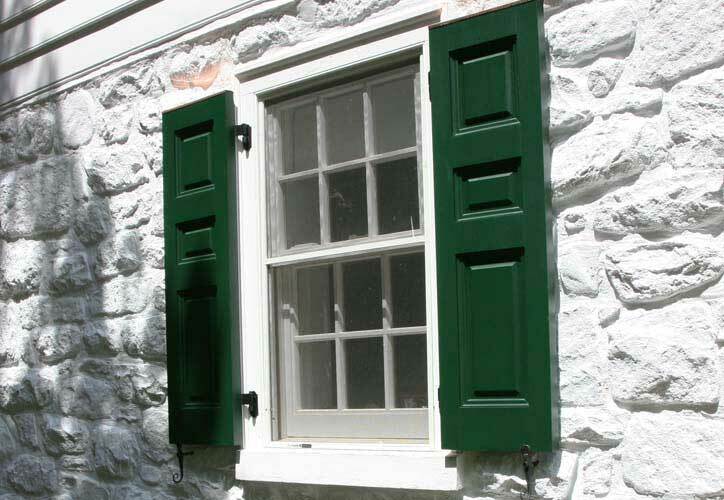 Rattail shutter holdbacks or “shutter dogs” with edge peened strap hinges were typical below the Mason-Dixon line. 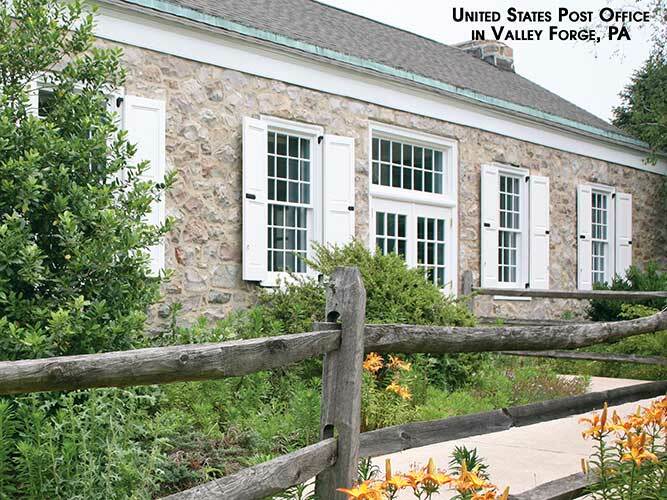 Cast dogs were used mostly in Pennsylvania while “S” dogs were found in New England. 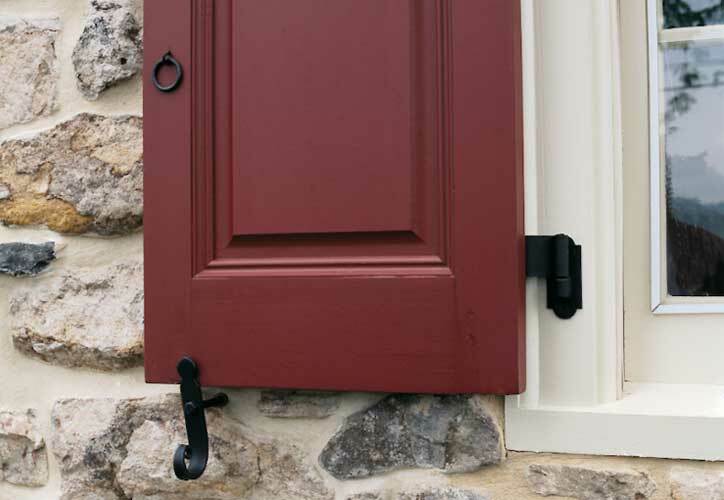 Whether choosing simple tie-backs, slide bolts or hinges or historically accurate hardware, let Vixen Hill help find what you need. If we don’t have it in stock, we’ll find it. 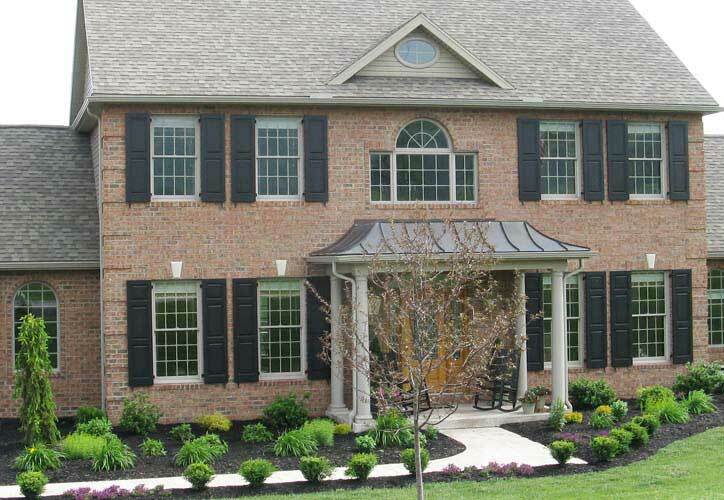 Use our online custom shutter builder and pick different shutter styles, panel options, finishes and more. Then order online. 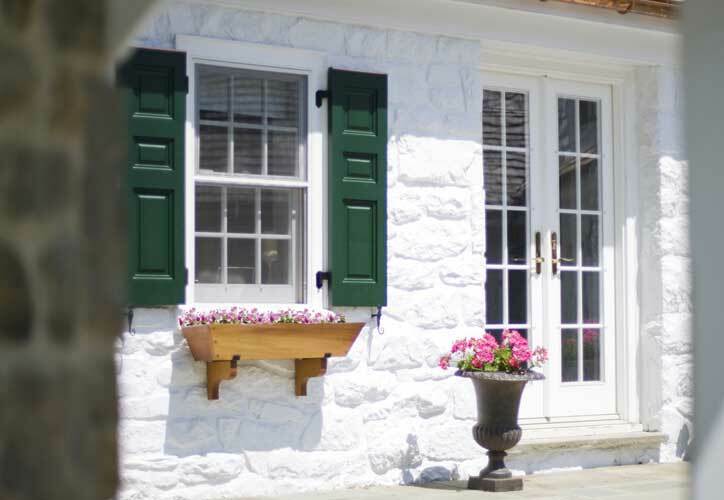 Of course, Vixen Hill Design Counselors are also available in our showroom or by phone to assist in measuring, fit, shutter hardware and with recommendations for your exterior shutters that best suit the architectural character of your home.